Growth Academy, an initiative by Nokia and Co-Creation Hub, is aimed at accelerating high growth Nigerian startups to develop solutions that will solve real market needs. 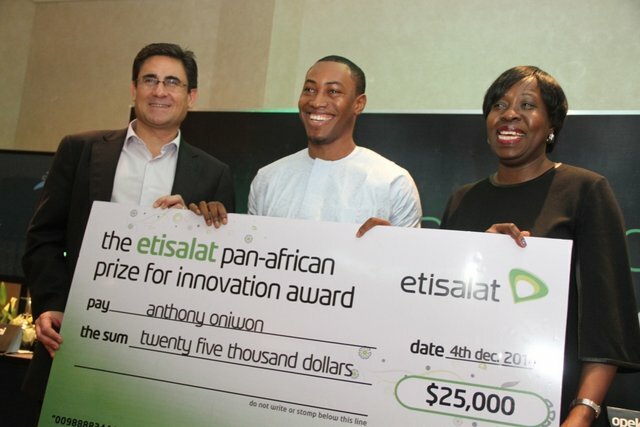 The program which kicked off in 2012 has now produced ten startups after the just concluded season II. Graid aims at producing a suite of easy-to-use mobile based applications poised at aiding farmers. For starters, we looked into poultry farming. Right now, GRAID has the feed speculator which helps poultry farmers ascertain that feed mixtures meet nutritional requirement of the birds on the farm, hence subsequent minimization of major and minor losses incurred by the farm. GRAID helps poultry farmers ascertain the nutritional content of their feed mix. What’s the story behind your venture? Why did you decide to solve agriculture problems? The inspiration is credited to one of our team members, Miss. Adekanye Tobi, and the numerous farmers we met during our survey. Farmers spend up to 80% of their farm budget on feed. To ensure they’ve got good value for their money, we came up with GRAID (Feed Speculator) after numerous pivots. GRAID is a J2ME application that runs optimally on Nokia Full Touch, Touch and Type and Non Touch phones. Its user interface was built using LWUIT (Light Weight User Interface Toolkit) and uses the Tantalum Library extensively. It requires no data connection. How long did it take to build the solution? GRAID started sometime in June 2012 during MIT/AITI when there was an ideation session. There has been a series of pivots. The current version took about to months to build, thanks to the Nokia/CcHub Growth Academy team we got help and insight from Futurice. How do you hope to commercialize your innovation? We have a cordial relationship and have partnered with the Poultry Association of Nigeria. As the founder, where do you see the future for your venture? I see us putting smiles on more farmers’ faces, and not only poultry farmers. What role did Growth Academy play in in your venture over the last 4 month? Growth Academy helped GRAID grow. The well thought out sessions helped our venture become AGILE and LEAN, and improving the Business Model Fiddle iteratively helped us focus. How did you acquire the skills used to build this innovation? The introduction of the Full Touch Asha series phones, Growth Academy alumni and members of BooshParrot gave crash courses on LWUIT. And thanks to Google and Stack Overflow for being just a click away.